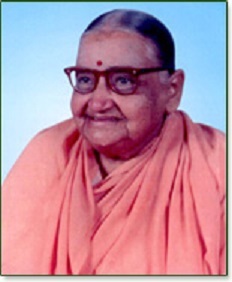 In the quest of women's education in the socially and educationally backward district of Salem, Yatiswari Saradapriya (Mrs. Seethalakshmi Ramaswamy) started this college under the guidance of Srimath Swami Chidbhavananda. Those who live for the welfare of others alone live; the rest are more dead than alive. The utterance of Swami Vivekananda had a deep root in the mind of Srimath Swami Chidbhavananda and encouraged him to play an important role in the service of mankind. He was the chief Architect of Tapovanam at Tirupparaithurai. Yatiswari Saradapriya Amba approached Swamiji and expressed her wish to undertake social service and spend her life usefully in the upliftment of society at large. Swamiji advised her that the only way to do this, is the establishment of educational institutions for women. He also advised that giving proper education to girls at the young age will imbibe in them desirable qualities and blend our culture which are the fore-runner and foundation for their future homes. Swamiji inspired her for the establishment of mammoth educational institutions in the cause of women which today stand as a monument of her will and goal. 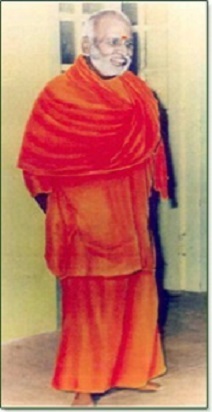 Srimath Swami Chidbhavananda was the President of Sri Sarada Educational Institutions from 16-06-1961 to 16-11-1985. He was instrumental in making these institutions cater to the development of one's personality. Chanting of Gayathri mantra, Mahabharatha and Ramayana discourses, Articulation and Idea Fixation classes are such innovative ideas of Swamiji which have a distinctive place in the educational system of Sri Sarada College of Physical Education. He was responsible for conducting regular 'Anthar Yoga' - a day's spiritual programme leading to inner purification, involving meditation, lectures, bhajans and interaction conducted once in a month in the college campus. This has evolved as an important extension activity with public participation. Hailing from a very rich and noble family at Tirupur, the founder directress Yatiswari Saradapriya Amba (originally named Seethalakshmi) dedicated herself to the cause of women's social welfare at a very early age. She was married to Sri S.V. 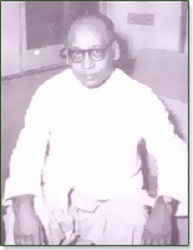 Ramaswamy Chettiar, a highly qualified bar-at-law who later became the Deputy Minister of Railways and Commerce. She felt that proper education of women was the solution to all social maladies. This inspiration was the genesis of a small school started with two children in her own house in 1955. 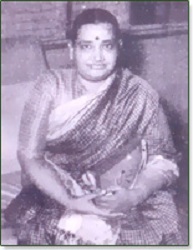 Subsequently with the establishment of Sri Sarada College for Women during the year 1961, she bequeathed all her property to the Sarada Educational Trust. 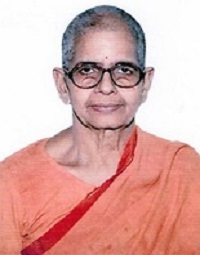 After the demise of her husband, she was initiated into Sanyasam by Srimath Swami Chidbhavananda in 1973 who also blessed her with the name Saradapriya. Her vision has been such that though she had started her vocation in education on a very small scale, it has spread to different realms of activity. She could establish three full- fledged colleges - one for Arts, Science and Commerce education, one for Teacher education and one for Physical education. Under the same wings of care and love, flourish four higher secondary schools too besides three primary schools. On the whole, 17,000 students derive the benefit of education from the educational institutions established by the visionaries. Right from LKG, a girl student can pursue her studies till she becomes a doctor of philosophy. 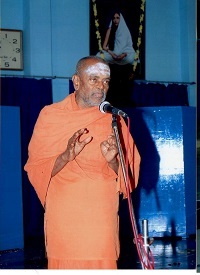 Yatiswari Saradapriya Amba was a master-builder. Her genius, her zeal and zest, her potential for building institutions was colossal. In raising these institutions, she had the never-ending flow of grace and blessings of Holy Mother, perennial inspiration and guidance of Swami Chidbhavananda. She was the light and life of Salem girls. She spent every ounce of her energy and she dedicated every second of her life in the service of Holy Mother and her institutions. She was the Founder Correspondent from August 1982 to 02-01-1989. The college is managed by Sri Sarada College Education Trust run by a band of Yatiswaries of the Holy Order, Sri Sarada Samithi which is a unique voluntary organization with a mission of service to the cause of women, dedicated to the mission of charity, service, literacy and education in the name of Holy Mother Sri Sarada Devi. Copyrights © 2016 Sri Sarada College of Physical Education for women. All Right Reserved.